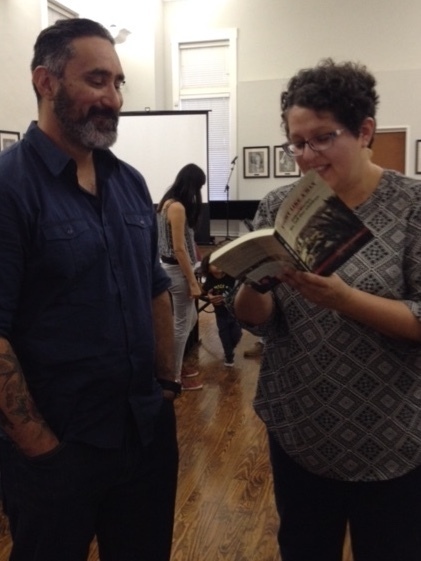 Photos from left to right, Christine Granados signs a copy of ​​​​​Fight Like a Man at the El Paso Community College-Rio Grande campus' Little Temple. 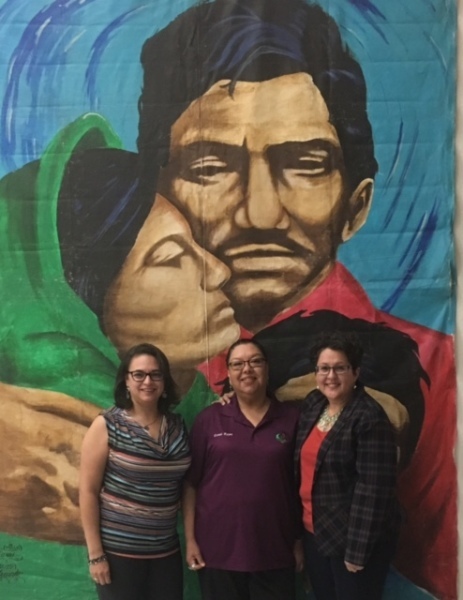 Diana López, Estela Reyes López and Granados at Centro de Salud Familiar La Fe, a community center Lalo Delgado helped found. 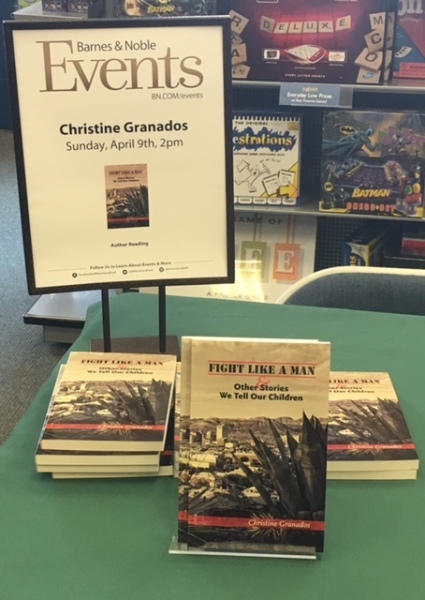 Book display at Sunland Park Barnes & Noble. 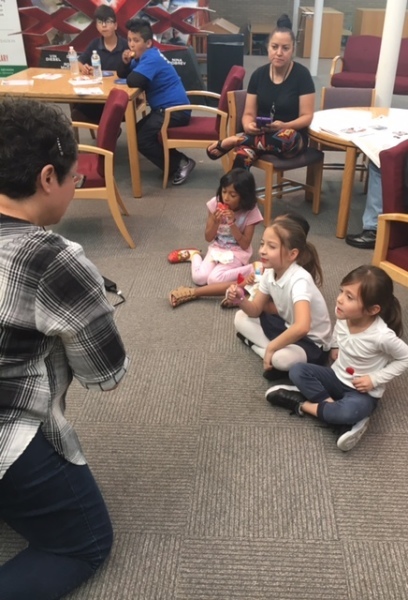 Granados reads Mo Willem's "Pigeon book" to young readers at Armijo Branch Library in El Paso. 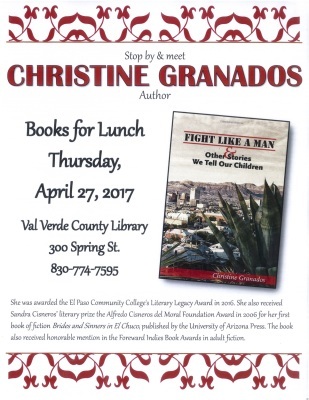 Visit Christine Granados at noon in Del Rio, Texas, Thursday, April 27.